Roshan Jain is a Partner at the Law Office Burns & Jain. Roshan Jain has been practicing law since 2005. He has focused his practice in personal injury and civil litigation. His practice is devoted to advancing his clients’ objectives through practical and efficient litigation services. At the Law Office of Neil Burns, Roshan’s practice focuses on motor vehicle accident litigation, and serious personal injury cases, including wrongful death cases, and civil practice. Roshan works with Attorney Neil Burns on legal malpractice and personal bankruptcy litigation. In particular, Roshan works on motor vehicle cases that range from complicated collisions with significant permanent personal injuries, to more typical cases where our clients suffer from neck and back injuries. In addition, Roshan works with Attorney Neil Burns on uninsured cases, underinsured cases, and cases in which the insurance company makes an unfair offer of settlement. Many of those cases require a Chapter 93A and 176D Consumer Protection demand letter and subsequent litigation. Of significance is Roshan’s attention to the needs of the client during the claim and litigation portions of our clients’ case. 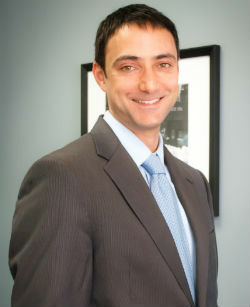 Roshan has worked with Attorney Neil Burns on legal malpractice cases. These cases can be complicated, trying and long lasting. Legal malpractice requires that we prove that the clients’ first attorney failed to maintain the standards of practice and negligently allowed the client to suffer damages while representing the client. Thus, we have to prove the underlying case, and the case against the attorney as well. Roshan’s attention to detail is necessary and critical in such cases. Prior to joining attorney Neil Burns, Roshan Jain worked at Hanson Bridgett LLP in San Francisco, California, where he managed a high-volume practice defending public railroad and bus operators in complex accident cases, achieving dismissals and nuisance value settlements in several difficult fatality cases. He also represented elder care facilities in elder abuse actions, resident relocations, and challenges to state-issued regulatory violations. Roshan also represents clients in landlord-tenant, business litigation, and consumer protection cases. Roshan’s litigation skills and experience include electronic discovery, depositions, complex motion practice, legal writing and research, trial, and regular court appearances. Prior to his legal career, Roshan was a founder and the director of business development for Emuzed, Inc.; a successful multimedia technology startup which was acquired in 2004. Roshan obtained his B.A. in Political Economy from Williams College and received his Juris Doctorate degree in 2005 from University of California, Davis School of Law where he was the Co-Editor In Chief of the Environs Law Journal. Roshan is licensed to practice law in Massachusetts and California and is a member of the Asian American Lawyers Association of Massachusetts.